Green v-neck short sleeve button down shirt-tibbed, very thick lace neckline and sleeve trim. Sophia - you are AMAZING! This is a perfect post. But I wanted to let you know that B&B awarded you a Premio Award! You can go here to see it. GREAT POST... lots of work! 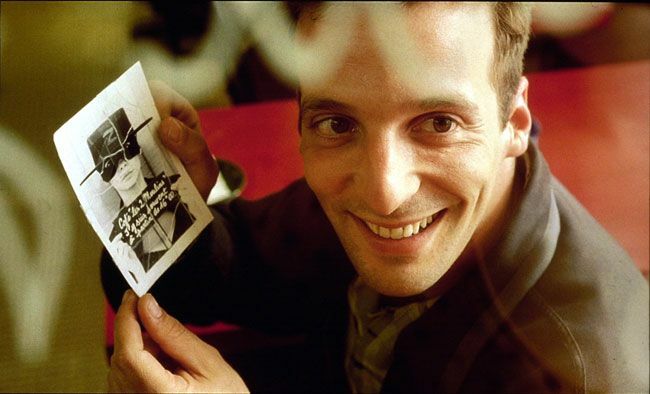 Love this movie... truly one of my all time favorites! I remember hearing in the bonus cd that the sets are similar to the artwork by a Portuguese (I think) artist. The adding of one strong color, like blue or green. Does anyone remember the name? Oh my goodness, I love this post!! I am so in love with the movie. I tried following the link to the "Pig sculptural base", as I'd _r_e_a_l_l_y_ like to get my hands on one of those, but sadly the link is dead. Do you know where to find one? Pig lamp at amazon.de which is Amazon in Germany. There are seven stores that sell them but only one that ships to U.S. AND IT TAKES A MONTH. Next it has to be converted to correct voltage. The plug adapter will not be sufficient. Don't burn down your house. Get a new cord and new bulb housing and that should do it. 250.00 to get it to your door and 20 more to convert it to U. S. Standard. I actually found a shop that shipped one to me for about the cost that you quote, and I live in Europe, so no conversion was necessary. 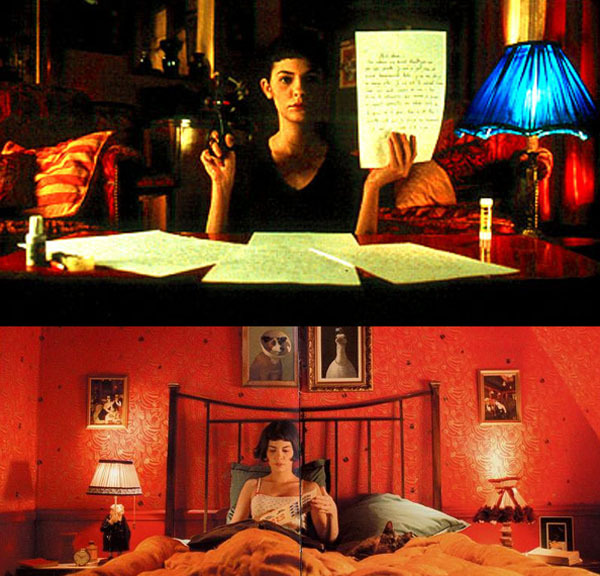 I adore this post <3 Amelie is one of my most favourite movies of all time.